The L.A. Lakers have won 16 NBA Championships in their 71-year history. They’ve boasted some of the league’s greatest players — including Kareem Abdul-Jabbar, Magic Johnson, Shaquille O’Neal, Jerry West, and Kobe Bryant — and have been part of some of the most storied games of all time. 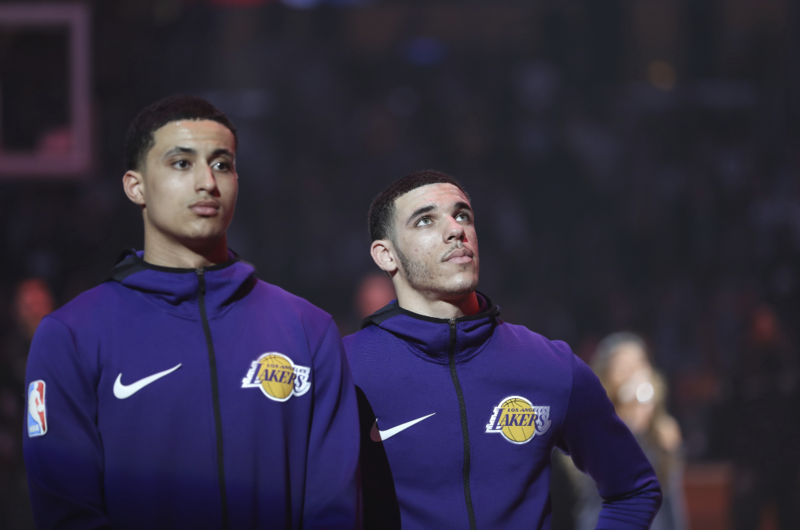 This season, the Lakers have added LeBron James, along with some promising rookies and established veterans to complement the already-promising team they’ve been building at STAPLES Center. Here are ten of the games that promise an exciting night for fans at STAPLES Center at L.A. Live in downtown L.A. 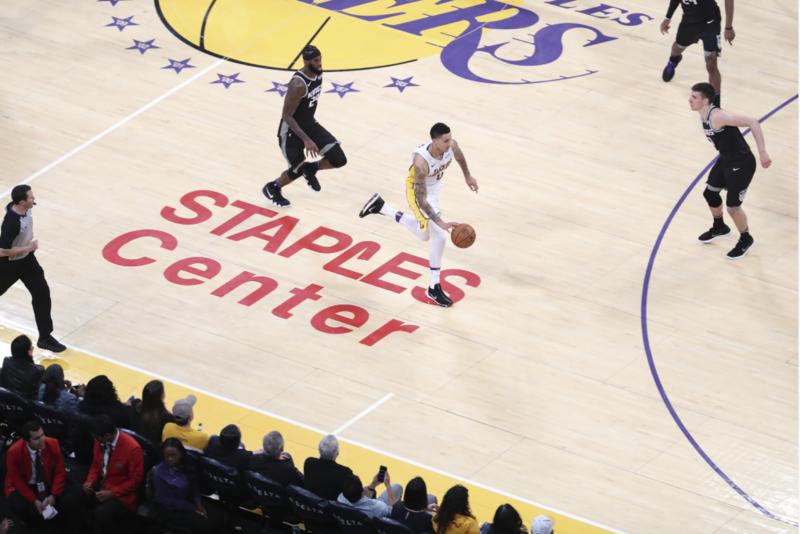 The Lakers host their first home game of the 2018-19 season at STAPLES Center on Saturday, October 20 at 7:30 p.m. vs. the Houston Rockets, last year’s No. 1 seed in the Western Conference. 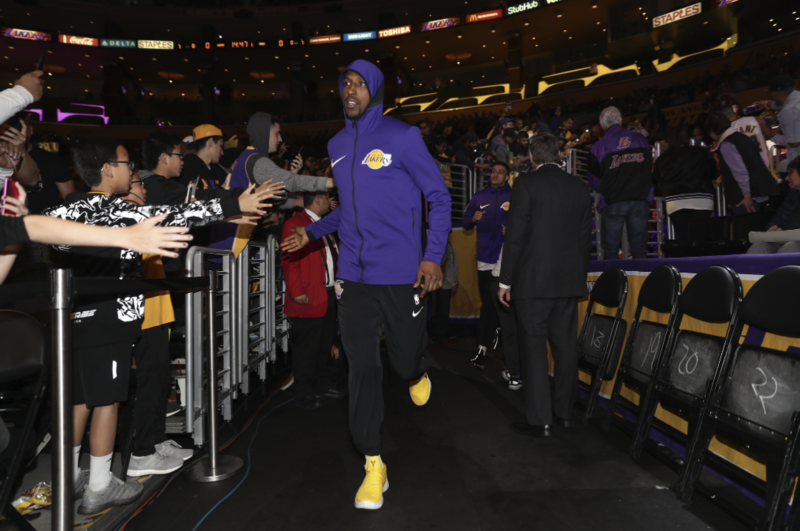 Fans will be stoked for this home rematch — the Lakers’ last home game of the 2017-18 season came against the Rockets, in a 105-99 nail-biter. 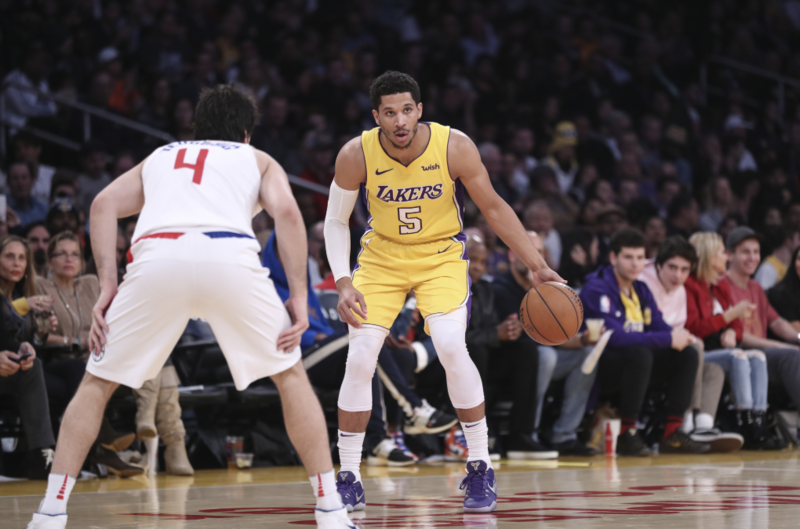 Returning shooting guard Josh Hart led the Lakers in points that game, finishing just behind Rockets superstars Chris Paul and James Harden. A home Halloween game at STAPLES Center, on Wednesday, October 31 at 7:30 p.m., could bring both tricks and treats to the court this year. The Mavericks are a favorite to see their stock rise this year. That might not take much (they were 24-58 last season), but their improvement is expected to be significant thanks to some smart additions: Slovenian guard Luka Doncic, already eyed as a Rookie of the Year contender, is joining the Mavs from overseas. Big man DeAndre Jordan — who holds the NBA record for career field goal percentage — also comes to Dallas from the Clippers, the Lakers’ in-town rival. The Toronto Raptors are early favorites for the No. 1 seed in the Eastern Conference this season. Adding Los Angeles native Kawhi Leonard, one of the best players in the league, may give the Raptors the juice to hold the top spot in the East. Leonard has one year left on his current contract, and rumor has it that he’ll be eyeing L.A. during next year’s free agency. The Lakers see them at STAPLES Center on Sunday, Nov, 4 at 6:30 p.m.
All-Star and 2017 MVP Russell Westbrook and the Oklahoma City Thunder will face the Lakers in STAPLES Center just once this season, on Wednesday, Jan 2. at 7:30 p.m. The game is the third of a four-game home stand in the first week of the new year, in a season that sees a brutal amount of air travel for the team. The Lakers trounced the Thunder 106-81 the last time they faced each other, and fans are looking forward to a repeat of that performance. 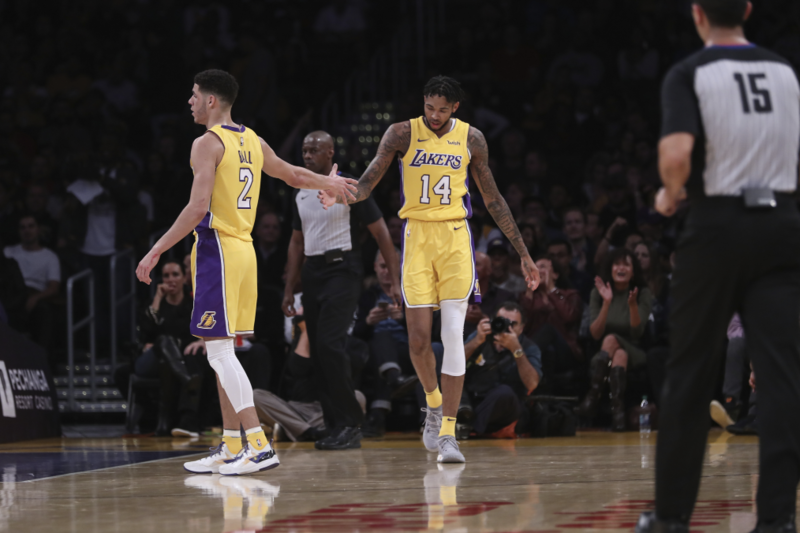 The Lakers’ host LeBron James’ former championship team at STAPLES Center for the first time on Sunday, Jan. 13 at 6:30 p.m. Last season at home on March 11, the Lakers took down the Cavs 127-113, including a dominant 33-22 thir quarter. James’ former teammates Kevin Love, J.R. Smith, Tristan Thompson, and the rest will bring their all to avoid a repeat. On Martin Luther King Jr. Day — Monday, Jan. 21 at 7:30 p.m. — the Lakers welcome the Golden State Warriors to STAPLES Center for their second holiday matchup of the season (the Lakers also face the Warriors on the road on Christmas Day). After winning three NBA Championships in the last four seasons — two of those with new Lakers center JaVale McGee — the Warriors are favorites in the Western Conference again, although certain additions to the Lakers lineup this season make the Dubs’ west coast dominance a little less certain. 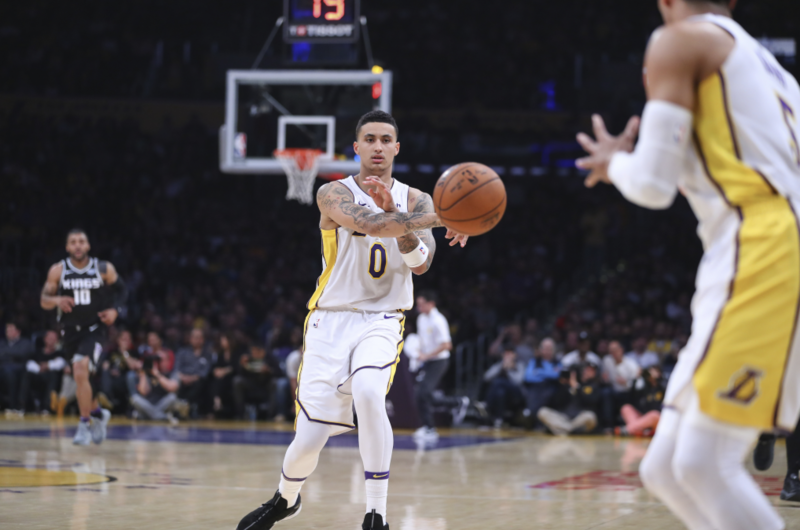 The Lakers spend almost the entire month of February on the road, with seven away games plus the All-Star break preceding this matchup against the Pelicans on Wednesday, Feb. 27 at 7:30 p.m. (The Lakers’ one other game at STAPLES Center this month is their fourth matchup of the season against the Rockets, on Feb. 21). Rajon Rondo came to the Lakers from New Orleans this season; as a Celtic, his team beat the Lakers in the NBA Finals in 2008. Together, the Lakers and Celtics hold 46 percent of all NBA Championships. The two teams have met in the Finals 12 times, and any time their famous rivalry seems to wane, it sparks up again. This season, that will be due in part to the on-court meeting of Kyrie Irving (now at Boston) and new Laker LeBron James, former teammates and co-champions as members of the Cavaliers. The Celtics — who finished last season with the No. 2 seed in the Eastern Conference, despite several injuries — will come to STAPLES Center on Saturday, March 9 at 5:30 p.m. 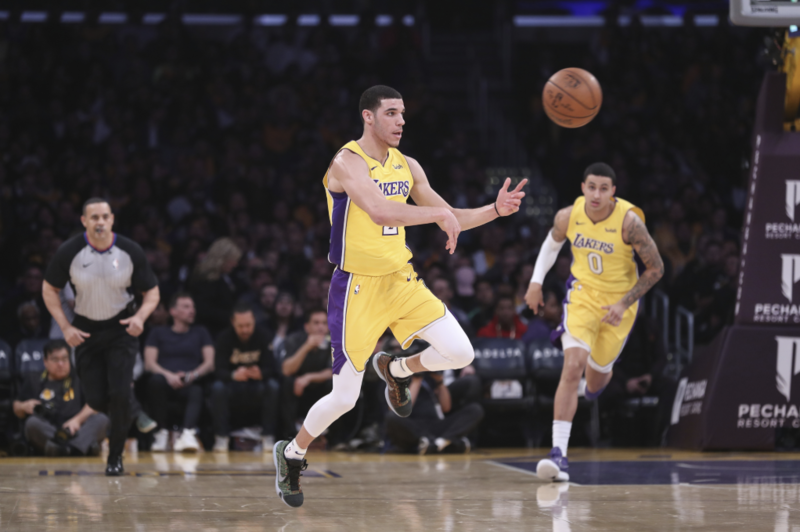 The Lakers close the season with two final home games at STAPLES Center: against the Utah Jazz on Sunday, April 7 at 6:30 p.m. and the Portland Trail Blazers on Tuesday, April 9 at 7:30 p.m. The Blazers, always a fun team to watch, finished first in the Northwest Division in 2018. 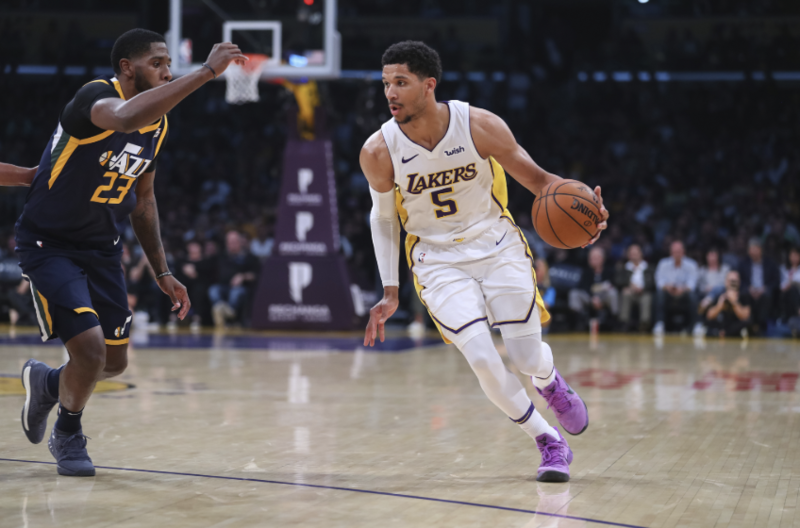 New to the Blazers this year, Gary Payton II (son of a former Laker) divided last season between the Lakers and their G-League team, the South Bay Lakers. His 25-point career high came at STAPLES Center in the last game of last season. **All times listed are Pacific Standard Time. The Los Angeles Lakers were founded in 1947 as the Minneapolis Lakers and moved to Los Angeles in 1960; the team has won 16 NBA championships, the first in 1949. The Lakers’ home arena is STAPLES Center, part of the L.A. Live entertainment complex adjacent to the L.A. Convention Center downtown. For Laker games, the venue seats 18,997. The venue also hosts the LA Clippers, Los Angeles Kings and the Los Angeles Sparks, as well as concerts and other special events. The nearby L.A. Metro station is Pico/Chick Hearn, named for the beloved Lakers play-by-play announcer. 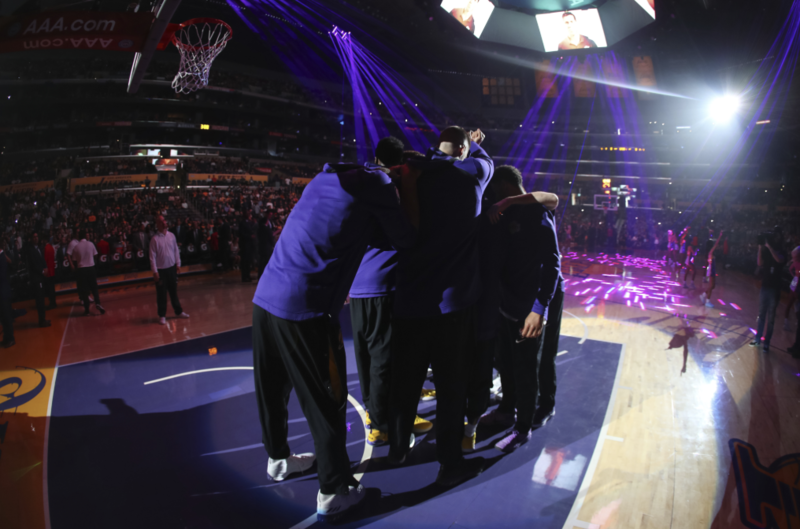 Stay up to date on the Lakers all season on Twitter @Lakers. 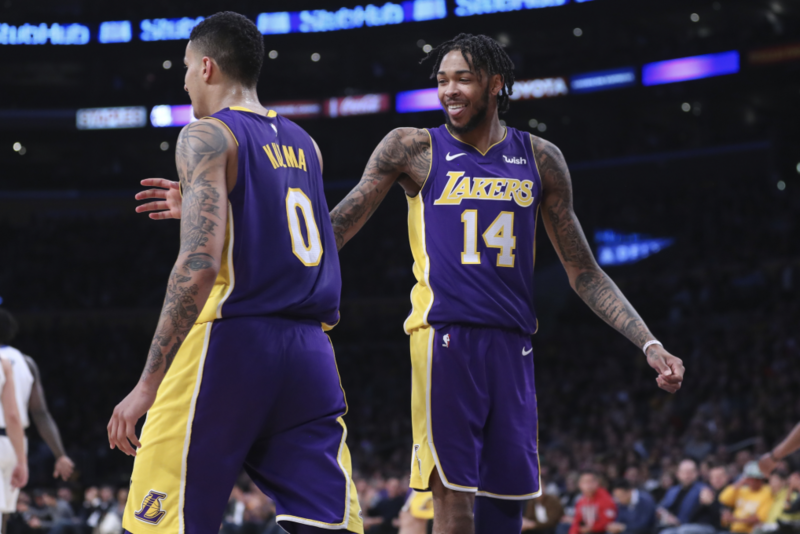 With these heated matches and many more to choose from, don’t miss a moment of the Los Angeles Lakers at home this season.